We are looking for the real knight, who believe in real love! Are you such a person? 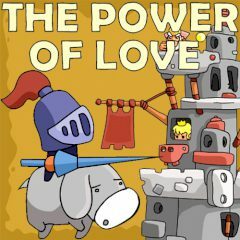 Then play this game and help protagonist to attack a tower and save his beloved woman. Will you cope with it? Then do not waste time! You must save her! Have much fun here. Are you brave enough? Then help this knight to save his loved princess. You must attack the tower, buy upgrades and win the game. In this game the powerful king is too proud to accept that a simple knight is worth of his daughter, a beautiful princess who he thinks to be better matched with a rich and also powerful lord, who's got at least as many lands as he has. But the valiant hero will not back down and decided to show the sovereign the power of love, which is great enough to beat a mad witch's poison. So, use the mouse and save the princess!